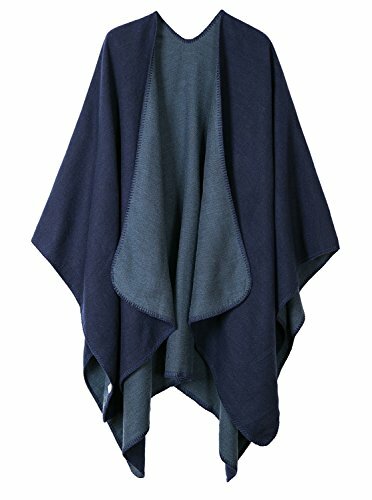 Urban CoCo Women's Color Block Shawl Wrap Open Front Poncho Cape (Series 7-navy blue) by Urban CoCo at Sherlock Coat. MPN: RS0007NB. Hurry! Limited time offer. Offer valid only while supplies last.